During Russian Prime Minister Medvedev‘s visit to Beijing on November 1, 2017, President Xi Jinping said he supports the development of the Arctic Polar route as a new axis of the Belt and Road initiative. Russia has long aimed to develop the Polar Road for goods transportation. 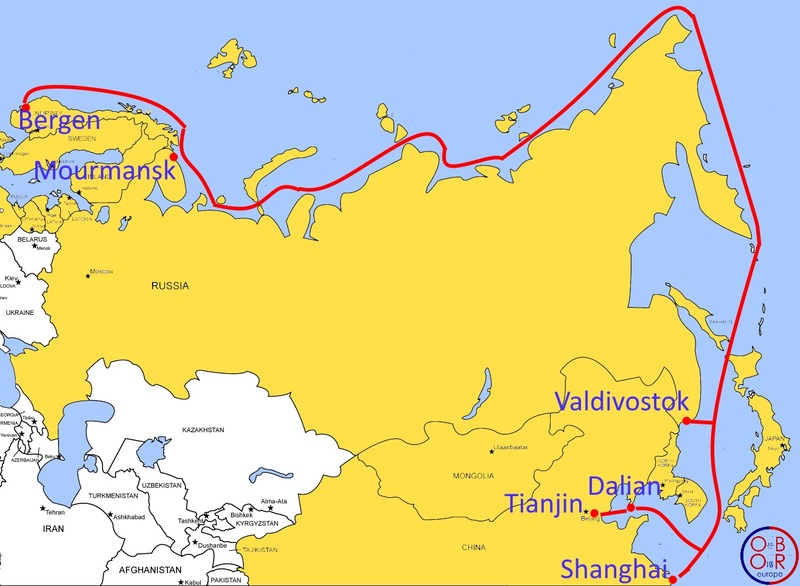 Under the USSR, icebreakers opened the way to connect Siberia with European Russia. 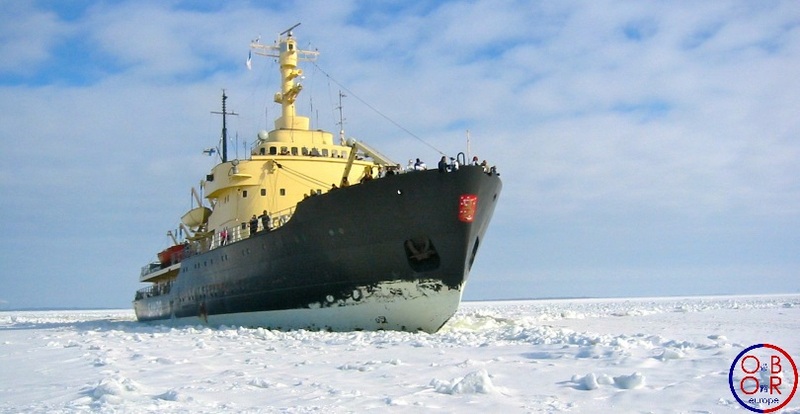 Global warming and melting sea ice could make the northern shipping route more feasible. Since the beginning of the 2000s, with the decline of the pack ice, traffic has increased on this route. In 2013, Russia established the Northern Maritime Route Administration to better control shipping. If icebreakers were no longer needed, the northern route linking China to Europe would be twice as fast as the one going through the Suez Canal. China has understood the value of this route, and since 2013 has become an observer member of the Arctic Council, the main cooperation organization involved in the management of the North Pole. Since then, China has developed its own Arctic policy. The development of the Belt and Road initiative is seen by Moscow as an opportunity to revive the idea of ​​a polar sea route linking China to Europe. The development of the Polar Road is not entirely in the hands of China and Russia. For this road to be effective, all North-East Asia states will first have to improve their relations and ensure the safety of the goods to be transported. China and Japan have to agree on a policy of good neighborliness and settle their maritime disputes to ensure the free movement in the sea of ​​Japan. Beijing and Seoul will have to continue to improve their relations as it has started since late October, after more than one year of tension. South Korea could then join the Belt and Road initiative. But it is mainly the North Korean problem that could weigh on the development of the polar route connecting the Chinese ports of Shanghai, Tianjin and Dalian to Europe. If it adopted a more peaceful policy, North Korea could also benefit from the development of the Arctic route, including by being involved in the ‘Greater Tumen’ regional initiative. Furthermore, the future of this road will largely depend on relations between Russia and China. Beijing could fear the predominance of Russian interests on this road. The success of the polar route will depend largely on Russia’s willingness to promote free trade on this axis. Finally, the development of the northern route could improve the connectivity of northern European states (Baltic countries and Scandinavia) with Asia. But here again, the EU and Russia will have to strengthen their relations before developing joint projects for the Far North. The development of the polar route is conditioned by global warming. For this route to be competitive with the sea route through the Suez Canal, or the new Europe-Asia rail lines, this maritime route must be ice-free all year round, which means that ice pack must continue to decline. The development of maritime traffic in this wild area could threaten its ecosystem. Oil spills and illegal degassings would put the entire Arctic ecosystem at risk. To avoid these disasters, China, Russia and all the states involved in this initiative should seek to develop cleaner transport, and regulate and control the transport of dangerous goods. It is now time for the European Union to develops its own strategy regarding this new polar route and to work with Russia and China on this issue. The establishment of a new polar road will require the creation or modernization of many infrastructures in the northern regions of Russia; European companies may be involved in those projects. The new Arctic Highway project could also create new opportunities in Russia, mainly in Siberia and the Russian Far East. The polar road is not yet fully viable, but the decision of Russia and China to start thinking about this project shows the importance these two countries place on long-term policies. Beijing is also showing its willingness to develop very different routes connecting Asia to Europe. Share the post "The Polar Route and the Belt and Road Initiative"